We are very pleased to be able to share with you another guest post by the insightful and talented Joe Lurie, Executive Director Emeritus, University of California Berkeley’s International House. Sadly, the topic is again, or still, timely. We published his first post on this subject, “Language Under the Gun,” in February of 2011. Let us work to change the culture of anger and violence by this time next year! With only 5% of the world’s population, US Americans now possess about 50% of the world’s guns. Is it any wonder then that mass shootings in the US have skyrocketed in the last decade? And in the wake of the grotesque massacre in Sandy Hook, gun sales have spiked dramatically. No wonder that sales of kids’ bullet-proof backpacks have soared, or that our culture more than ever is drenched in the language of guns! As I watch left and right wing politicians and pundits “up in arms” on TV, battling in a “cross-fire” of blame, each side looking for a “smoking gun” to explain or cast blame for horrifying gun-related catastrophes, I’ve become increasingly aware of how our culture’s preoccupations with guns are reflected even during innocent “shooting the breeze” conversations. Without suspecting what drives our language, we are “blown away” by adorable photos of loved ones. At the movies, many audiences are thrilled by “shoot- em-up,” “double barreled action” scenes, or are excited by car chases where actors “gun” their engines. I often ask friends to “shoot me” an email and I’ve encouraged job seekers to give an interview their “best shot” and “stick to their guns” during salary discussions. And if a job is offered, I might congratulate them for doing a “bang up” job. Having worked as a university executive with students from more than 80 countries, I’ve noticed that students from abroad are struck by the violent language in our songs and films, and they hear it bleeding into our political discourse. Many have asked me in amazement why it is even necessary to state that guns and ammunition are banned from university residence halls. Yet, “son of a gun,” 26 colleges in three states permit guns on college campuses. And gun liberalization legislation for colleges is in the “cross hairs” in at least nine more states. I’ve heard staff and students alike stressed by an approaching deadline, instinctively describing themselves as being “under the gun.” Sometimes my colleagues have described emotional co-workers as “loose cannons” or having “hair trigger” personalities. And when a student has gone off “half cocked,” psychologists have advised employees to “keep their powders dry” and to review “bullet point” guidelines for handling volatile personalities. When the local story becomes a national tragedy, there is “new ammunition” for both gun control supporters and opponents of fire arm bans in such places as elementary schools, day care centers, churches, or even the neighborhood bar! Joe Lurie, Executive Director Emeritus at the University of California’s International House, is currently a cross-cultural communications consultant, university instructor and Cultural Detective certified facilitator. Contact Joe via email or LinkedIn. 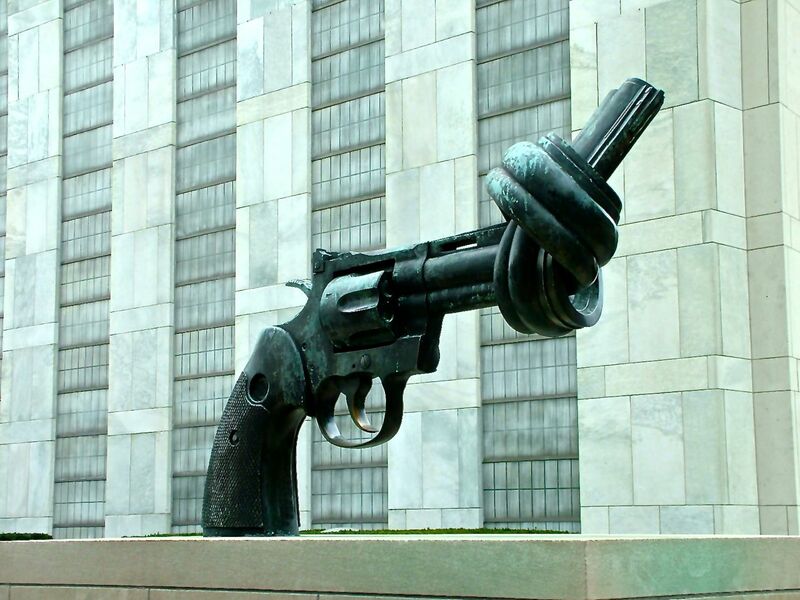 This entry was posted in Commentary and tagged Cultural Detective, current events from an intercultural perspective, English language, euphemisms, Gun control, guns, intercultural competence, linguistics, metaphor, multicultural society, National Rifle Association, Sandy Hook, United States by Dianne Hofner Saphiere. Bookmark the permalink. Reblogged this on Digital cultures and translation.